For most of us and our kids, a healthy breakfast and a nutritious lunch is a definite certainty, but the reality is quite the opposite for many children in South Africa. Thousands of children start school on an empty stomach and often have no lunch either. 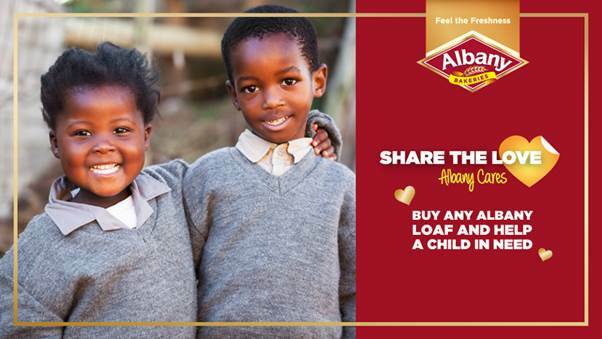 Albany Bakeries have been dedicated to baking the freshest goods since 1970, offering superior quality and nutrition that has been helping South African families start their day right and keep them full for longer. The largest range of baked goods is offered in South Africa from Albany Superior White and Brown bread, to low GI variants such as Albany Superior low GI White, Superior low GI Seeded Brown and Superior low GI Wholewheat and buns and rolls. Kids’ favourites are Albany Superior White and Best of Both White Bread. Over the years, Albany Bakeries have proven to be leaders in innovation, long lasting freshness, great taste and superior quality. Albany has launched Albany Ultima health range to meet the requirements of a healthy balanced lifestyle. 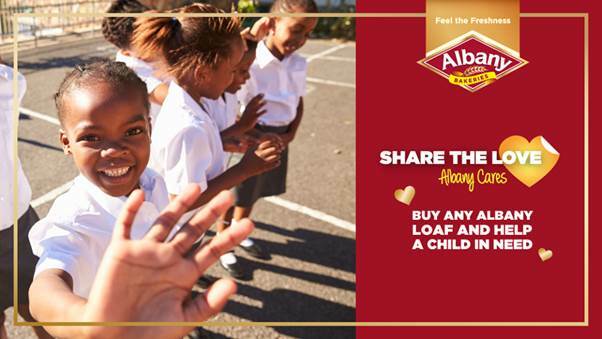 Albany is the most awarded brand of bread having won awards such as the 2016/2017 TGI SA’s Kasi Star Brands; 2017/2018 Icon Brand Awards and the Sunday Times Top Brands Awards. P.S – This post was not sponsored or paid for, but was largely written by an Albany representative.